Price: Craft activities at the West Shed are free. The West Shed is located on the Swanwick Junction museum complex of the Midland Railway-Butterley. Normal access to the site is via a heritage train ride from Butterley Station (fare payable - see the Midland Railway website for details) alighting at Swanwick Station to walk up to the West Shed. Access to Swanwick Junction is also possible via a walking route from Butterley Station. Please note: this is half a mile over uneven ground and unfortunately not suitable for visitors with limited mobility, wheelchairs or pushchairs. 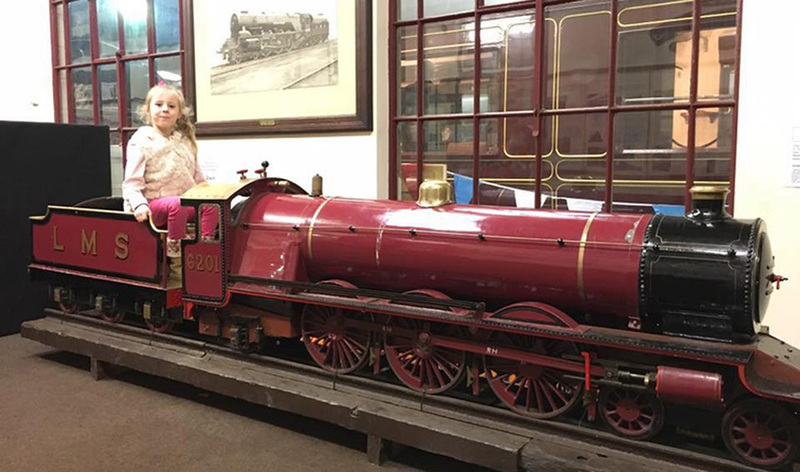 Create a 'junk model' train using recycled materials, have a go at craft activities to celebrate Chinese new year, play with train sets and pretend to be a train driver on our miniature sit-on engine.